Rita Sheffey, a veteran litigator with a career-long commitment to public service, has been named Emory Law's assistant dean for public service. In the newly created position, Sheffey will build upon the law school's well-established public service programs. Sheffey will help ensure students, graduates, faculty and staff live up to Emory Law's mission to serve the community and advance the rule of law. Sheffey will advise the Emory Public Interest Committee, oversee the law school's Pro Bono Program, increase post-graduate placement opportunities in federal and state clerkships, and advise students with career interests in government or with public interest organizations. "I am honored to have been selected to serve as the first assistant dean for public service and look forward to working with Dean Schapiro and his team," Sheffey says. "It is so exciting to be able to focus my passion for service on inspiring Emory Law students as to the many different ways lawyers can serve society, regardless of the specific career path they choose. I am eager to help enhance Emory's culture of public service, both through existing and new pro bono opportunities for students." Emory Law's current public interest offerings include several clinics, including the new Volunteer Clinic for Veterans; a broad range of courses focused on public interest topics; public interest externships and post-graduate fellowships; a Pro Bono Program; a host of student organizations devoted to public service; summer grants; and a loan repayment assistance program. Sheffey will join Emory Law on Jan. 20. She comes to the job with a solid public service record during her career at Hunton & Williams. 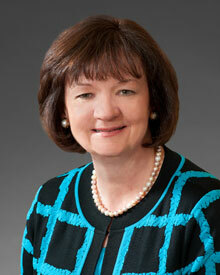 She joined the firm as a summer associate in 1986, and was named partner in 2004. For 20 consecutive years, Sheffey has logged more than 100 pro bono hours, and has led the Atlanta office's Pro Bono Committee since 2005. Sheffey created Hunton & Williams' Southside Legal Center pro bono clinic in 1995 and has served as director since. In 1996, she partnered with the Fulton County Juvenile Court to develop a program that allows firm attorneys to serve as guardians ad litem in Children in Need of Services cases. Opportunities such as these have resulted in 100 percent of Hunton & Williams attorneys performing some form of public service for the past seven years. Sheffey lobbied for the creation of a second full-time, pro bono fellowship at Hunton & Williams' Atlanta offices. It allows a recent law school graduate to work exclusively on pro bono cases for two years. Since its establishment, three of seven fellows have been Emory Law graduates. "Rita's career demonstrates an extraordinary commitment to public service and exemplifies the highest ideals of the profession," says Emory Law Dean Robert Schapiro. "Her reputation and knowledge within the pro bono realm are exactly what we had hoped for in a leader for this initiative." This week, Sheffey will be nominated as president-elect for the State Bar of Georgia. She is currently treasurer and previously served as secretary. Sheffey was president of the Atlanta Bar Association from 2011 to 2012. The bar announced the Rita A. Sheffey Public Interest Award in 2012, and named her its inaugural recipient. She also received the bar's Distinguished Service Award in 2010 and 2013. Sheffey is currently president of the Lamar American Inn of Court at Emory Law, and served as president of the Atlanta Legal Aid Society from 2005-2006. In 2010, Sheffey received EPIC's "Unsung Devotion to Those Most in Need" Award. Sheffey followed an atypical path to law, starting out as an undergraduate at the University of Virginia intent on becoming a physician. Instead of pursuing medical school, she earned her PhD in chemistry at Duke University, and then secured a two-year postdoctoral fellowship at Harvard Medical School. She earned her JD at Boston College Law School. In practice, Sheffey has focused on complex, scientific-based litigation in environmental, product liability, trademark and patent infringement, and business torts cases in both federal and state appellate courts. Her experience includes Superfund, Clean Air Act and Clean Water Act cases.